Are you surrounded by concrete and starved for green, growing things? The City of Dallas has 35% impervious surfaces. The “urban heat island effect” is impacting our ability to draw and retain new talent, meet air quality standards, control flooding, and guarantee a good quality of life for Texans and visitors. Texas Trees Foundation’s new 2017 Urban Heat Island Study reveals the consequences if we do not address this issue through mitigation of existing conditions, new urban design and policies to mitigate the impact of our existing heat island effect. Learn more at the Grey to Green 2 Symposium, hosted by the Texas Trees Foundation, March 23, 2017 8:00am – 4:00pm, Dallas Scottish Rite Museum and Library, 500 S. Harwood Dallas, TX 75201. Questions to matt@texastrees.org. Who lived here before us…and why? 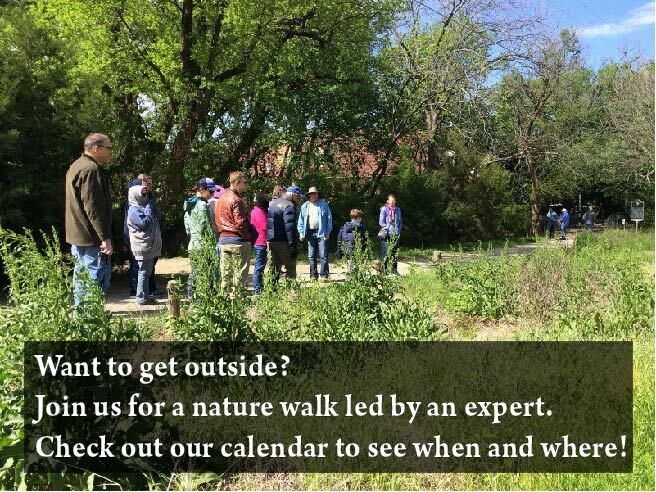 Join Joan and Ernest Stokely for a guided nature walk in Spring Creek Nature Area (Richardson, part of the Richardson Urban Naturalist program). Learn more about the Campbell and Routh families, and visit the cemetery where they’re buried. Learn about paleo and later Indian habitation, and the flora and fauna of the area. Saturday, April 1, 8:30-10:30 a.m. Preregister by calling Heights Recreation Center (972-744-7850) or Huffhines Recreation Center (972-744-7881) or going to www.cor.net/parksonline Course Number 94665. Dr. Fouad Jaber of the Texas AgriLife Extension Service and the City of Plano have partnered to bring you an Introduction to Stream Processes and Restoration Training on April 17, 2017, 9am-3:30pm., Plano Senior Recreation Center, 401 West 16th Street, Plano, TX 75075 The training is open to the public and will include field work (bring your waders). National Geographic contributing photographer Joel Sartore is 11 years into a 25-year endeavor to document every captive animal species in the world using studio lighting and black-and-white backgrounds. So far, he’s photographed 6,500 different species, which leaves approximately 6,000 to go. Learn more at http://www.npr.org/2017/02/27/517481473/photographer-builds-a-photo-ark-for-6-500-animal-species-and-counting . And watch for the Dallas Zoo’s exhibit of many of these amazing photographs opening April 20, 2017. The National Environmental Education Foundation is now accepting applications for Capacity Building Grants. The National Environmental Education Foundation (NEEF) is the nation’s leading organization in lifelong environmental learning, connecting people to knowledge they use to improve the quality of their lives and the health of the planet. NEEF, with generous support from Toyota Motor Sales USA, Inc., will be awarding grants of up to $5,000 each to Friends Groups to fund organizational capacity-building projects. NEEF defines a Friends Group as a nonprofit organization whose core mission is to support the improvement and responsible use of a public land or water site in the United States. Friends Groups may serve more than one site, such as a regional group of parks. Applicants must have had an established collaborative relationship with a local public lands site (including federal, state, regional, county, city or other local public lands area) for at least one year. For more information about what constitutes capacity building and for the complete Request for Proposals, application instructions, and lists of previous grant recipients, visit https://www.neefusa.org/resource/2017-every-day-capacity-building-grants. The deadline to apply is 11:59pm CT April 12, 2017. On April 22-23, 2017, the annual Spring Plant Sale fundraising event at Heard Natural Science Museum & Wildlife Sanctuary will feature a huge selection of native plants, hard-to-find herbs and well-adapted plants. This year, the plant sale will also offer over 1,000 native milkweed plants—even more than last year. By purchasing and planting milkweed to help feed Monarch butterfly caterpillars, North Texans will be able to both help the recovery of this species and support the Heard, a private 501(c)(3) nonprofit organization. All purchases are also tax-free. Please see www.heardmuseum.org/plantsale for the complete plant list (available soon). at Guests are welcome to bring carts or wagons to facilitate their purchases. The plant sale will be open to the public on April 22nd from 9 a.m. to 5 p.m. and April 23rd from 1 p.m. to 5 p.m. A Heard Museum Member Pre-Sale will be offered on April 21st from 4-7 p.m. The Member Pre-Sale is open to Heard Museum members only; however, memberships will be available for purchase at the event or online beforehand. Due to overwhelming support last year, the plant sale sold out early making the Member Pre-Sale all the more advantageous for Heard Museum members. Texas Historic Tree Coalition: Sally Rodriguez, author of Images of America White Rock Lake, and White Rock Lake Revisited. 2900 Live Oak Street, Dallas, Texas 75204. Twelve Hills Nature Center: Exploring wild edible plants. (No pets for this event). Coppell Biodiversity Education Center “Wild Sunday”: Bats! Meets at Fort Worth Botanic Gardens, 3220 Botanic Garden Blvd. Monarch Way Stations for North Texas. To register, please email fmpl@flower-mound.com or call 972.874.6165.